Hailing from Chennai, Divya Reddy has been a resident in the city of pearls for 15 years now. Growing up, her passion was always interior décor and intricate jewellery. This led Divya to conceptualise Manikaa Silver Line, which boasts of a wide range of puja items, dinner sets, interior decor pieces, return gift articles, as well as an exclusive jewellery line. It’s a one-stop-shop for any occasion you have coming up. It all started when Divya went shopping for a cousin’s wedding and had to go to several stores to get what she wanted. 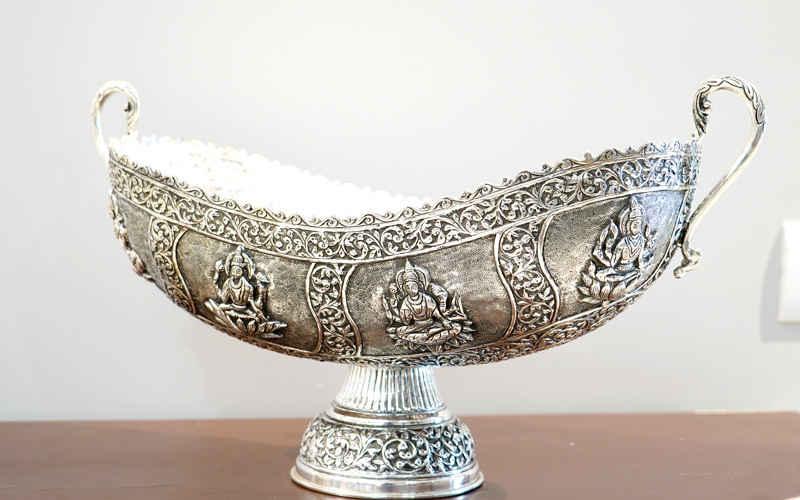 She informed, “My hunt for silver puja items and return gifts for the wedding made me realise that there is no one place in the city that caters to all of these requirements together. Coming from a business background, I saw this as an opportunity as well as a chance to explore my passion, which fuelled my aspiration further,” Divya explained. 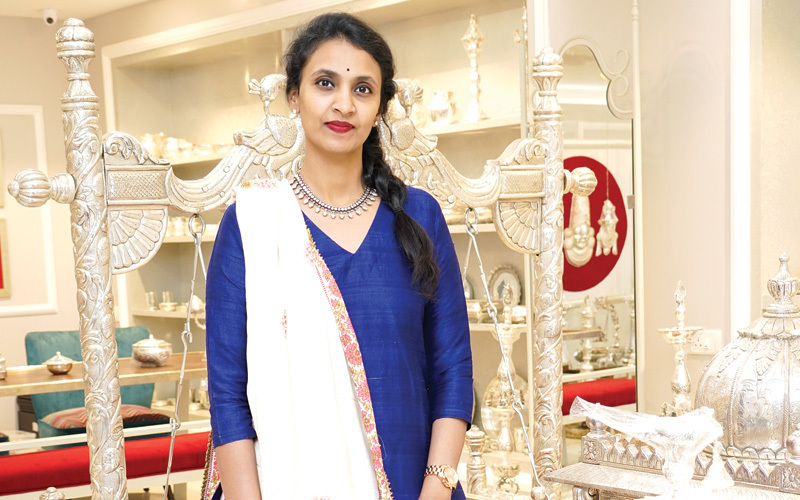 She already has quite a bit of retail experience, thanks to her family’s other venture, Aabharanam Jewellers, which helped her set up shop pretty quickly. When it comes to her products, every article is made up of 22K silver and is meticulously hand-crafted to perfection by her team of expert craftsmen. Every piece is unique and eye-catching, with no two pieces looking the same. They also customise products based on the clients’ requirements and budgets. The display at the walk-in store also helps the customers get an idea of Manikaa’s distinct style. And when asked about her inspiration, Divya said, “Customer satisfaction is our ultimate motivator and is our main inspiration tool. 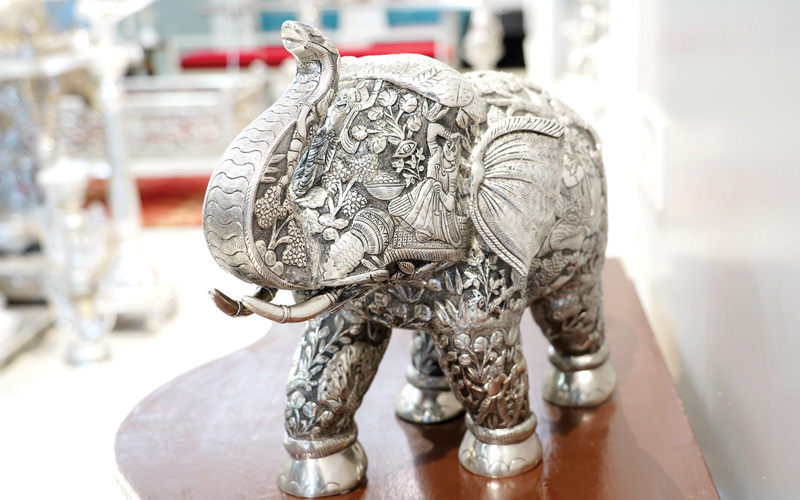 All our products are a blend of the on-going trends, customer expectations, and their feedback to our work.” With a store as beautiful as the creations it holds, Manikaa Silver Line is here to stay!